Treadmill vs Running Outside: Which Is Better To Get In Shape? When it comes to treadmill training, people usually fall into one of two camps – they either love it, or they don’t. Maybe you find the treadmill a fun and convenient way to get your cardio in? Or perhaps you associate treadmill running with boredom, slogging through one mile at a time as you watch the seconds tick by? 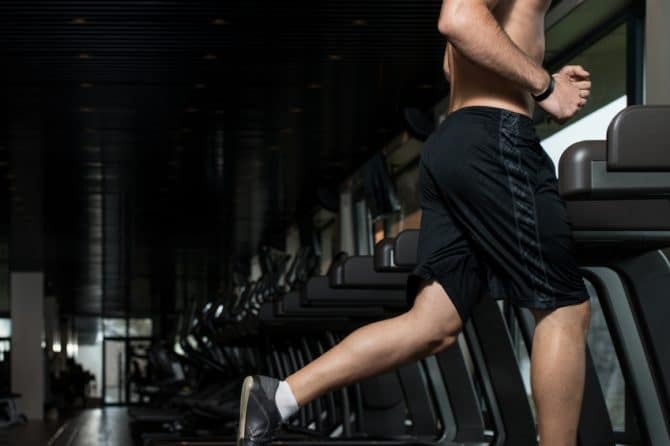 Regardless of the category you fall into, there are some definite advantages and disadvantages to running on a treadmill. 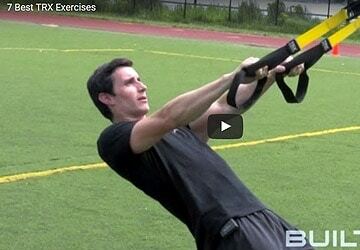 In short, it can be a fantastic tool to increase your sprinting speed and get an effective, fat burning workout. If you’re debating whether to train on a treadmill or to run outdoors, there are a few points you might want to consider. Each comes with a unique set of benefits, so your goals will help you determine what makes the most sense for you. You might have noticed that running on a treadmill feels physically easier. When you run outdoors, you have to recruit more muscles overall, but especially your posterior chain which works to propel your body forward. 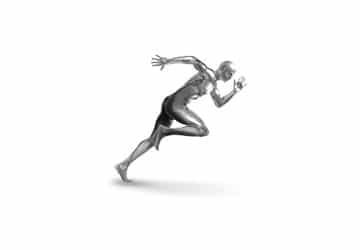 Running is essentially a plyometric movement that involves powerfully pushing off your back leg while driving your front knee forward to lift your body off the ground, landing and stabilizing on the front leg, then driving the back knee forward, and repeating. There’s a lot going on, and as a result you engage your glutes, hamstrings, calves, quads, hip flexors, and stabilizers (not to mention the actions of your core and upper body) just to run. Running outside, which includes street running and trail running, often comes with variations in your running surface. I’m talking about inclines & declines (like hills), and even the slight unevenness of the ground. These variations cause your body to make biomechanical adjustments that expend more energy. Also, there are usually obstacles during an outdoor run that force you to take bigger or smaller strides, jump over things, side-step, and pivot. These variations force you to move in different ways and make micro-adjustments, providing more variety and mental stimulation versus the literally straight-forward action of running on a treadmill. Running outdoors can also be more stimulating because there’s a constant change in scenery. You can get absorbed in your surroundings, lose track of time, and discover new places in your neighborhood. In a sense, running outdoors can be more about the experience itself, whereas running indoors tends to be more about the exercise. The reality is, you can’t control the weather. And sometimes, weather conditions can make it dangerous to exercise outside. Running indoors on a treadmill is something you can do at any time regardless of the weather, and sometimes it’s the safer option. Whether it’s incredibly hot outside, or there’s snow and black ice on the ground, you’re guaranteed a pretty safe run by taking it on a treadmill. 2. Easier To Push Yourself. Running outside and really challenging your thresholds (especially if you’re training alone), can be hard. Especially when it comes to sprinting, training on a treadmill can make it easier to push yourself. On a treadmill, you’re in control of your speed, incline, and duration. With the push of a button, you can change any of these variables. That means, if you want to run faster, all you need to do is increase the speed of the belt. Unless you workout with some good wearable fitness tech or a running app, really pushing your limits can be more difficult when you’re going for an outdoor run. Because you’re in control of, and can see how fast and how long you’re running on a treadmill, it can be easier to track your improvements over time. For example, lets say that you start out sprinting at a level 9 for 30 seconds. After a few weeks of consistent training, you might be able to increase your speed to a level 13 for that same amount of time. That’s some major improvement! And improvement is motivating. Seeing the results and progress of your workouts can help you stay excited about training and stick to your workout plan. 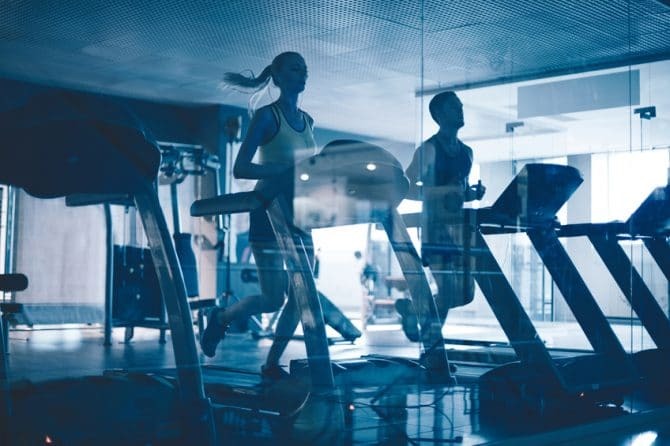 This is one of the biggest factors that makes treadmill training so great – you can immediately see your progress and ability to run faster, or longer. Now that you know all of the benefits of training on a treadmill, and how to get the same muscle activation as you would during an outdoor run, try this quick and effective treadmill sprint workout to burn fat. Set your treadmill to an incline of 1.5. Start jogging at a comfortable pace to warm-up your muscles. Perform at least 3 accelerations for 60 seconds each where you increase your running speed (to a fast run, but still below your sprinting pace) to prepare your body for max speed. Perform 5 rounds of 30-second sprints, taking 60 seconds of rest between rounds. 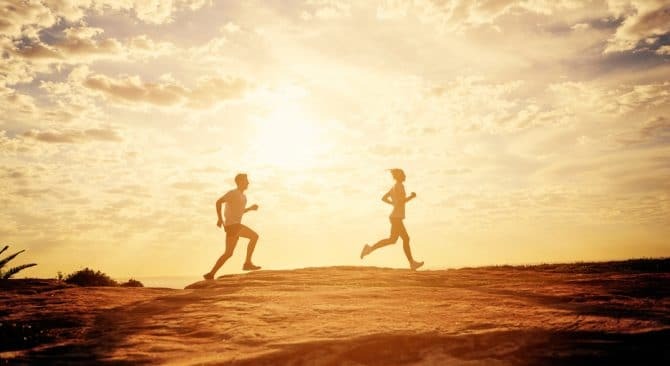 During the sprint, you should feel yourself “going breathless.” During the rest, either walk or slowly jog to slow your breathing and heart rate. When you’re doing a sprint workout, the workout itself doesn’t have to be incredibly long. In fact, a longer workout isn’t always better, especially when you’re doing high intensity interval training. Your focus here is on pushing past your comfort limits. Because of the intense metabolic effect of this workout, it has a big impact on your central nervous system. That’s why, in combination with a fat loss nutrition plan, this sprint workout is definitely enough to stimulate fat and weight loss. Add this sprint workout to your routine either after your strength session or on alternate days for at least 4 weeks, and keep us posted on your progress! I really enjoyed the article – short and ‘punchy’, and something to really incorporate into my run/sprint workouts. (I couldn’t seem to access the references, though.) Thank you very much! Glad you enjoyed the article! Definitely try out the workout, and let us know how it goes. What can you do for a 79-year-old man? A former marathoner and weight trainer , I’m fairly fit for my age, but I’m counting on the research that says you are never too old to gain muscle. Specifically, I want to maintain and increase, if possible, strength built on body weight training. I want to be able to do pull-ups/chins, to do as many push ups as possible–that kind of thing. Your thoughts would be appreciated. Do you have an appropriate program? Hey Nick, congrats on your dedication to staying fit and healthy, it’s really inspiring! If your goal is more strength-focused like doing pull ups and push ups, I think doing more of those exercises (and variations) will help you increase your strength. Also, increasing your grip strength will make you stronger almost overnight. Check out my captains of crush article. There are so many ways to structure a program and ideally we would do fitness assessment in-person to see exactly. I think you should first choose how many days per week do you want to strength train? 5? 3? Either way, I think doing pull ups and push ups every workout will help you get better at those exercises. You can also use a light / medium / heavy approach where one of the days you do more sets, one of the days is less, and then the 3rd is somewhere in between. Again, there are so many ways to structure workouts. Anyways, hope this gives you some ideas! Good article and a nice reminder of how sprints can be a great supplement to any fitness program! I’d like to point out that though apps and wearables were mentioned and this article was to make the argument for treadmill running (not necessarily against outdoor running, I realize), that the outdoor run is slightly under-valued. By using apps like RunKeeper, one can get audio cues on when to sprint/rest/etc – keeping your eyes up and focus on form (not the clock… as much!). Also, I think we’ve all had the experience of getting our mind set on a certain weight/speed/rep count in any workout. One has to remember to bump that speed up a tick on a regular basis, or you are guaranteed to stay at the same pace! Last, by measuring heart rate and pace via wearables, you can analyze if you’re pushing too hard/not enough – it’s discouraging to go slower than you know you can, but if you’re hitting your HR target, you are obviously working hard (the whole point!). Overall – great article and I’m a frequent reader of the email blasts – keep it up! Really glad you enjoyed the article, Greg! And thanks for the feedback. I personally enjoy both outdoor and treadmill running, but use each method for different purposes. I like to run outdoors, especially on trails, for my longer runs and to get absorbed in the experience of it. And I prefer to do my sprint training on a treadmill so I can more easily control the variables. But I agree that there is incredible value to HR training. That’s something I’ve recently re-incorporated into my training so I can see my improvements over time, and to make sure I’m properly recovering from my workouts. And there are definitely some great fitness apps out there – I personally like tracking my runs with Strava. Great article. It boosted my confidence and let me know exactly what I thought was correct. Outdoors is my favorite, almost identical how you explained. Same goes for the incline sprints on the treadmill. I call mine the “slow then go” method. Now just a matter of eating good and dedication. Good luck and thanks again! That’s awesome! Yea, I more-or-less take the same approach – I do my long runs outside, and my sprints on the treadmill. Thanks for sharing, and I’m glad you enjoyed the article. Glad you enjoyed the article and found it helpful! Seeing progress is definitely a huge motivator. Dear Kristin?it is said that running on treadmill is bad for knees?is that right? Thank you for the clear/concise distinctions between out-door and treadmill running! Best I’ve read! For one, that vit. D and fresh air you get outside is invigorating, but only if the weather cooperates! I’ve broken each arm once WALKING outside (slipped on some ice!) but never while jogging! Thanks again for your web-site! Happy you liked the article and thanks for the comment!